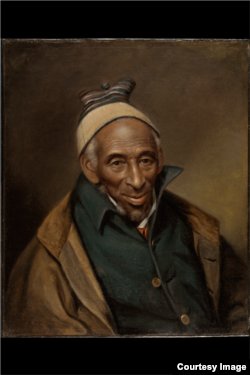 Written in Arabic and recently acquired by the Library of Congress, "The Life of Omar Ibn Said” is not only a rare handwritten personal story of an American slave, but it's also one of the first intimate accounts of the early history of Muslims in the United States. 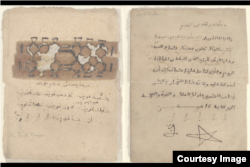 Enslaved African Omar Ibn Said's autobiography, handwritten in Arabic, is now part of the Library of Congress collection. "The black classification was devised to mark enslaved Africans as property. So, if you were black, you were no longer a human being," says Khaled Beydoun, an author and law professor at the University of Arkansas. "If you acknowledge some of these religious identities, then you're in turn acknowledging their humanity." "When people thought of a Muslim at that time, they thought Arab, they thought Ottoman, they thought Middle Eastern," Beydoun says. "Enslaved Africans did not fit within that racial ethnic caricature or form." “These were people who were essentially writing themselves into existence both in terms of leaving a record of their life but also in terms of challenging the racist assumptions about people of African descent," Ali says. Author and scholar Sylviane Diouf has suggested that slave work songs are related to the vocal pattern of Koranic recitation and the call to prayer. Those work songs — such as "Levee Camp Holler" a century-old song that originated in Mississippi — eventually gave birth to the blues. And Ali says it's possible that the banjo and guitar came from a traditional West African instrument.